Wood River Valley residents typically don't give another thought to a celebrity spotted locally—less so if the famous name is a business executive. But the collection of VIPs at the annual Allen & Co. retreat in Sun Valley can prompt something else entirely. Herb Allen Jr., head of the New York City-based investment bank, brings together some of the biggest names in the entertainment, technology and media industries. Besides a spectator sport for those on the periphery, the event has produced some major business deals behind its tightly closed doors. This year's conference, which ran July 6-9, included elite guests as well as relative unknowns who may be next year's biggest success stories. Among those rising to business's upper echelons are the founders of tech start-ups Dropbox, Quora and Airbnb; Drew Houston, Adam D'Angelo and Brian Chesky received invitations to fraternize with the established elite. Speculation about a business deal grew early in the conference when Disney CEO Robert Iger told Bloomberg reporters that video-streaming service Hulu was up for sale. Executives of some of Hulu's ownership—Walt Disney Co., News Corp. and Comcast Corp.'s NBC Universal—were in Sun Valley for the retreat. While no sales or acquisitions stemming from the conference have been revealed publicly, other news garnered significant attention. Rupert Murdoch, chairman of media empire News Corp., kept a low profile in Sun Valley, declining comment to the press on allegations that journalists at his British tabloid News of the World engaged in phone hacking and bribery to obtain information. While Murdoch was at the conference, his son announced the paper's closing, but the controversy around News Corp.'s UK business practices continued to intensify. 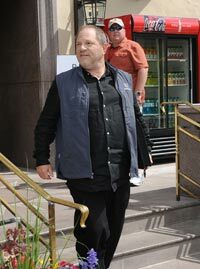 Other conference attendees included Bill Gates, billionaire software developer; Oprah Winfrey, television producer; Warren Buffett, billionaire investor; Harvey Weinstein, co-founder of Miramax Films and co-chairman of The Weinstein Co.; Philippe Dauman, president and CEO of Viacom; French businessman François-Henri Pinault and wife, actress Salma Hayak; New York City Mayor Michael Bloomberg; Sony Corp. Chairman and CEO Howard Stringer; Groupon founder and CEO Andrew Mason; U.S. Gen. Stanley McChrystal; television reporter Charlie Rose; journalist Tom Brokaw; New Jersey Gov. Chris Christie; fashion designer Diane von Furstenberg; and Facebook founder Mark Zuckerberg. The press also was well represented, with reporters and photographers from Bloomberg, MSNBC, Reuters and other national news outlets covering the event—at least as close as they could get to it. Access has been restricted for years; as awareness about the event increased, so did the media's interest. Moguls weren't the only ones to descend upon the valley. Many brought their families, who patronized local businesses, hired local people for services and filled the streets and trails with activity. Rob Santa, owner of Sturtevants Mountain Outfitters in Ketchum, said the event provided a boost to business, an additional bit of good news in what he said is a slowly but steadily rebounding economy. "It's all good stuff," he said Tuesday. "It injects some good money into a lot of pockets in the valley." He noted the "good vibe" in downtown Ketchum and the Fourth Street corridor. After the close of the conference Saturday afternoon, large, private jets were stacked up—sometimes 10 at a time—at Friedman Memorial Airport waiting for clearance to depart. A steady stream of jets left the valley throughout the afternoon.